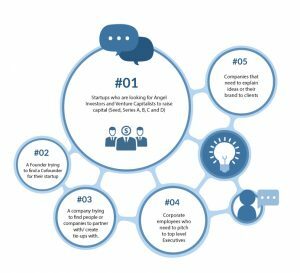 What is a Deal Making Pitch Deck? 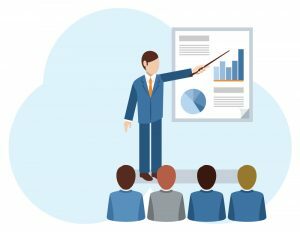 A pitch deck is a brief presentation of around 8-15 slides, usually created using Power Point or Keynote. However, nowadays, a lot of people have started using professional designing softwares like Photoshop and Illustrator to create a better impact. It is an introduction and overview of your business plan and is used to convince your audience during face-to-face or online meetings with potential investors, co-founders, bosses, partners or clients. The design of a pitch deck is need-specific, for example, a startup investor pitch deck would be different from a corporate pitch deck. Who needs a Pitch Deck? A short, crisp presentation with all the key elements of your business idea is the sure shot way to make an impression on your audience. 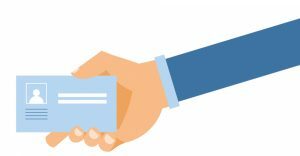 However, for the audience, may it be an investor or a client, your pitch deck is a business card. They need to be convinced within a short span of time and the best way to do this is by presenting slides that are engaging, persuasive and make a point! Most Business Angels or Venture Capitals don’t have the time to be convinced over the phone, they would rather just listen to a quick pitch and go through the pitch deck to make up their mind. A good pitch deck will stand out and make your idea shine through. Design Pitch Deck is like a cheat code for cracking the Pitch Deck game. Click here to create unique and compelling, deal-winning Presentations. It is a very important document and needs to be created and designed very carefully. Your sales pitch deck needs to have just the right amount of information, communicated clearly and should look appealing.